Okay so genuinely my hostel was fantastic. From when I arrived to when I left the hostel was everything I ever expected a hostel to be. This was actually the first time I had ever stayed in a hostel dorm and so my experience is that of a first timer! Since staying at USA Hostels Ive had the pleasure of a few more and so feel a review at this stage was appropriate. I opted for a 4 bed girls dorm with ensuite. £50 per night. This might seem a little steep for a hostel. I myself have stayed in private rooms in Thailand for less than half the price BUT San Fran is expensive anyway and this hostel was well worth it. The rooms were exceptional, equipped large lockers with plug sockets inside!!! ( sorry I cant get over this) and sockets in the bunk beds. ( again… big fan) I have a lot of camera equipment and like to charge my phone as I sleep- so both of these were a great addition. The beds also had little personal lights so if you were coming back late it was more than ideal. Perf.The ensuite was also great. With bath and shower and even shower gel provided. Nothing better than an included breakfast! oh wait, there is! a breakfast with Bagels.. unlimited Bagels. Oatmeal and all juices and other cool things to feed you for the day. Its all very sociable too and plenty of seats available. Bike Ride- Deffo do this one. Firstly because its great exercise and you will feel so good after. 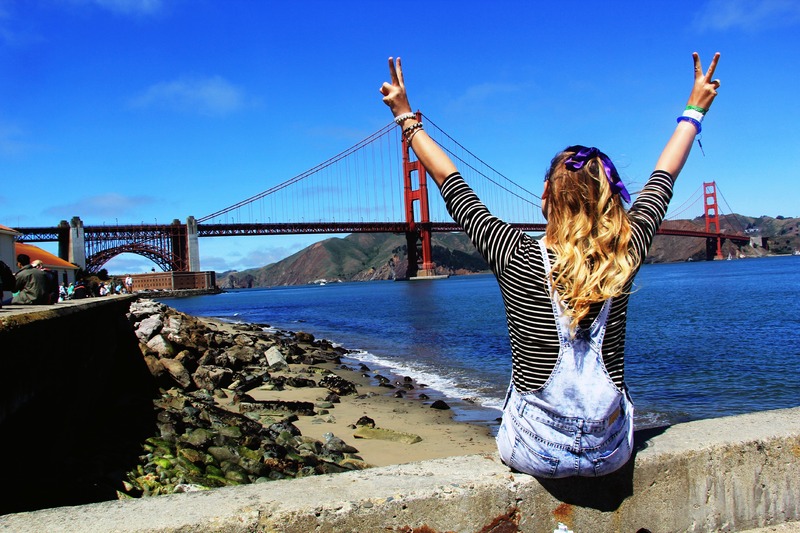 Its an amazing opportunity to take some fantastic photos of the City and the Golden Gate Bridge. The ride actually takes you into Sausalito which is a really cute town. Great place to get lunch. Walking Tour- Best way to see anything. Its free and the guide takes you to all the best places including some of the steepest streets in the world. Muir Woods- Really great to get out of the city and hike the woods- spaces are taken up fast so sign up quick. Cheese and Wine Night- Once a week more free wine and cheese. Yes please. Cocktail Night- You know where I’m going with this.. Location is actually pretty rad and I walked everywhere. its a 5 minute walk to Union Square and lots of other exciting shops and eateries. 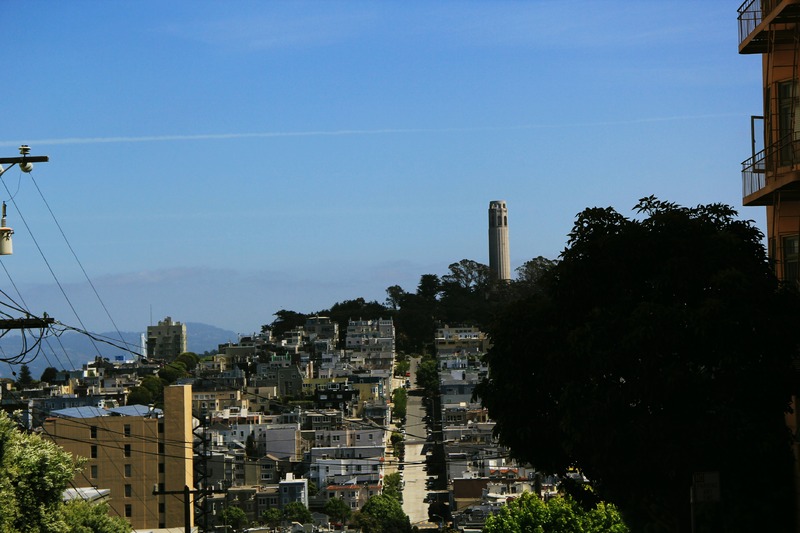 Its about an hour round trip to Lombard St and around a 20 minute walk to the harbour. So the main question- Would i return? Hell yes! It is so worth the money and I would recommend anyone to go. So if you are ever in the City by the Bay CHECK IT OUT.